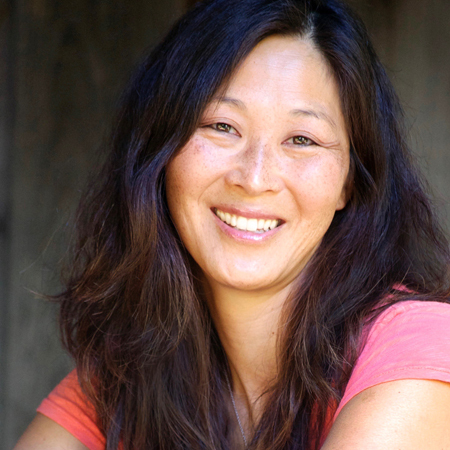 Misa Sugiura is a Nisei (second-gen Japanese American) who grew up in the Midwest, but moved to the San Francisco Bay Area as an adult because that’s where she really belongs. She got an Excellent! 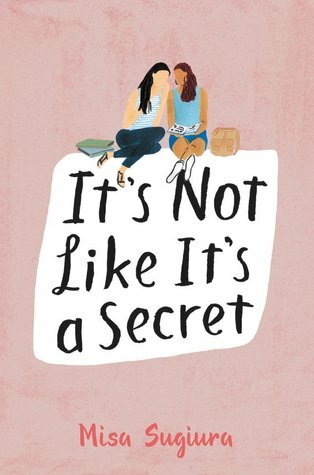 on a story she wrote for eighth grade language arts; the next story she wrote was IT’S NOT LIKE IT’S A SECRET. Misa loves swimming, water polo, and, movies, and sugar cookies. I have a BA in English/American Studies, and taught high school writing classes (regular and AP) for ten years. One of my critique partners is an MG author who is agented and has a series of three books out with Disney/Hyperion; another is a YA urban fantasy author who landed an agent this year (Tricia Lawrence w Erin Murphy Literary). I am a sensitivity reader (writeinthemargins.org; two of the MS’s I’ve read are being pub’d this year, and one will be out next year. CONVICTION by Kelly Loy Gilbert: The prose, oh the prose. The sweetness and vulnerability of the MC. And the way Gilbert peels away the layers of the relationships one by one until you’re left with the raw truth at their core. SIMON VS THE HOMO SAPIENS AGENDA by Becky Albertalli: Same thing, basically, though a little lighter and funnier and not as tragic. DUMPLIN’ by Julie Murphy: Again–the slow reveal, the voice, the prose. THE CROWN’S GAME by Evelyn Skye: Magic. I like magic. And I loved the characters. THE FINISHING SCHOOL SERIES by Gail Carriger: Steampunk, spunky heroines, lively, voicey prose. I write contemporary, and as far as reading it goes, I lean toward “quiet” rather than “edgy” or “dark”, but I do like my books to be at least a little bit issues-driven. I also love fantasy and magical realism, and I’m always up for a good steampunk adventure. I love stories that delve into relationships and characters, gradually revealing their complexities and quirks as the plot progresses. I’m a sucker for an apt metaphor. My response style really depends on the MS and the author, and what the author wants from me. I think it’s a good policy to ask the author specific issues sh/e wants me to look for, what the author loves/likes already, and what the author is most nervous about–this helps me respond sensitively. For an initial read/revise, I try to identify and articulate what works well on a global level, and then ask questions or float ideas about anything that concerns me or stops me. I’m all about figuring out what’s at the core of a piece of writing (Who IS the character, really? What do you want to achieve with this description or this scene?). I try really hard not to offer solutions, but I love brainstorming if that’s what’s needed. I already mentioned my recent YA faves above. But here are my favorite “grownup” books: THEIR EYES WERE WATCHING GOD by Zora Neale Hurston; THE BROTHERS KARAMAZOV by Fyodor Dostoevsky; THE THINGS THEY CARRIED by Tim O’Brien; THE SHIPPING NEWS by Annie Proulx; THE GOD OF SMALL THINGS by Arundhati Roy. And Jane Austen, of course. I also kind of love CHARLIE GLASS’S SLIPPERS, a fun “women’s fiction” updated Cinderella story by British author Holly McQueen. I’ve read it three times. Favorite movies: Clueless, The Avengers, Guardians of the Galaxy, Raising Arizona, Slumdog Millionaire, anything by Pixar. I guess I like to go to the movies to feel happy. I’m especially on the lookout for #ownvoices books, particularly Asian characters and LBGTQ characters, but I’m not picky.